Unique EZ-Turn™ ring design for smoother page turning. Gap Free™ feature prevents ring misalignment. Unique EZ-Turn™ ring design for smoother page turning. Crystal clear overlay enhances custom inserts on front cover, back cover and spine. Gap Free™ feature prevents ring misalignment. Back-mounted rings allow pages to lie flat. 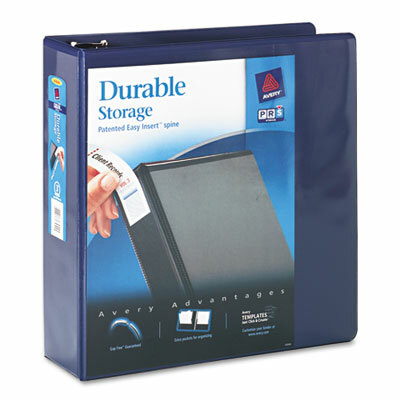 Wider front and back binder panels fully cover standard dividers and sheet protectors. Two opaque interior pockets for improved organization.